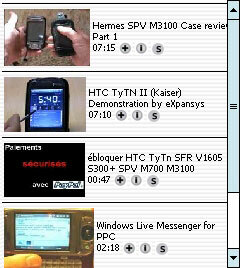 Avot mV v1.5 for Smartphone freeware for smartphone, Windows mobile phone free downloads. Avot mV is an application for Windows Mobile devices for searching videos from the Internet sites (YouTube, Dailymotion, Google and many more) and playing them. I only got to play one video then it would load up anymore. I uninstalled and reinstalled which did not work. It is very cool i just wish it would work on mine. Maybe if i am doing something wrong please let me know. Search for vTap - it's way better. there is no option for sending data via bluetooth. please make it easy for Me. I want to transfer my data via bluetooth with other phone like nokia. I will see if it's good...?! Whenever I try to download it, the screen says DNS error. Whats wrong? Thank you Malak. And I would like to take that opportunity to ask you if you wish to ask or read about any issue that is not avllaabie on our site, just ask and I shall reply as soon as possible and I shall also publish as a post.